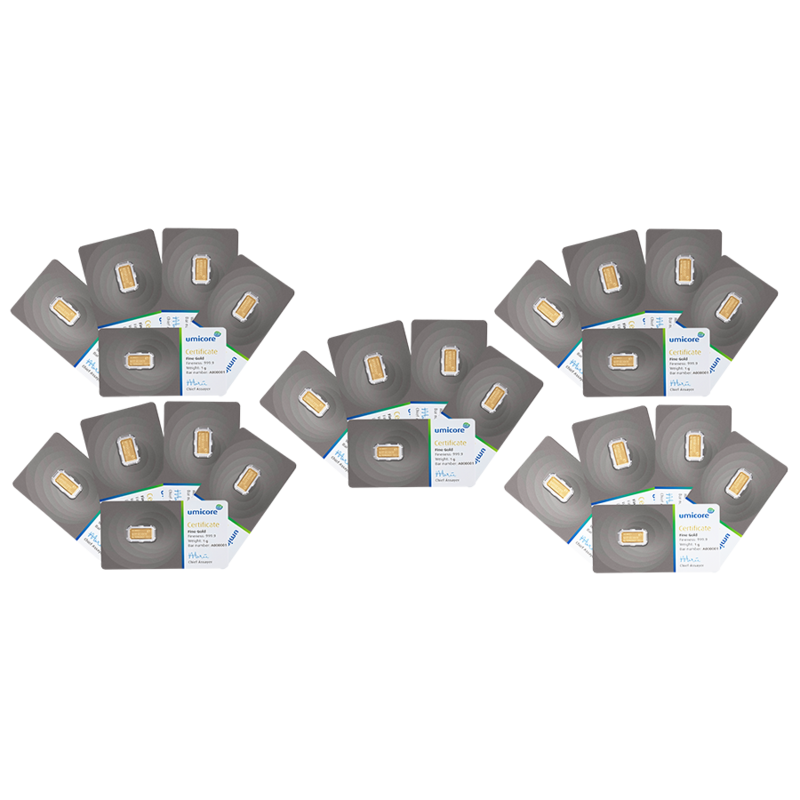 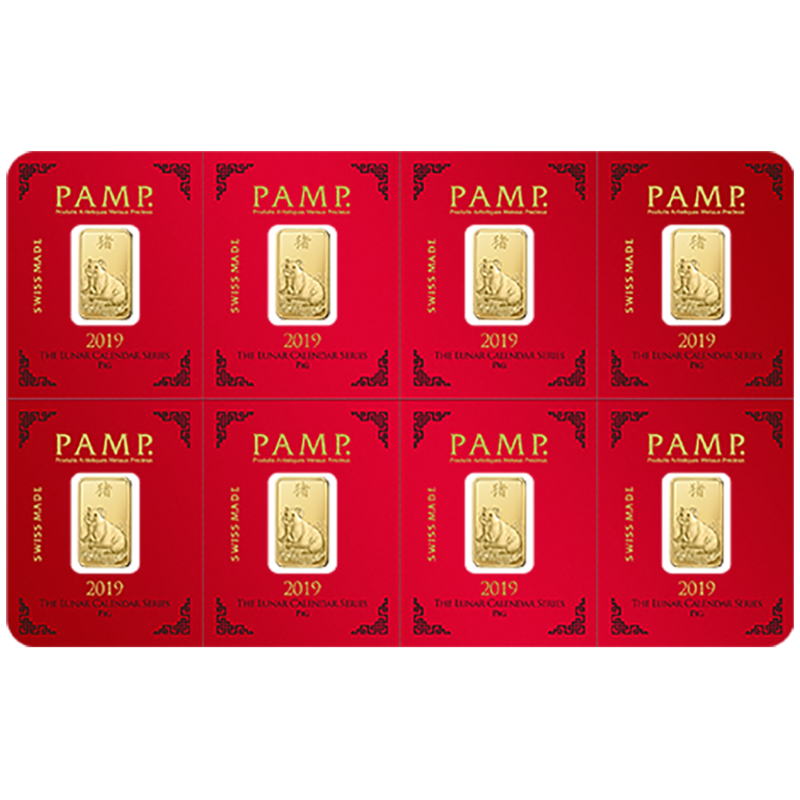 The PAMP Suisse 25 x 1g Fortuna Multigram Gold Bar features 25 individual 1 gram gold bars together as one. 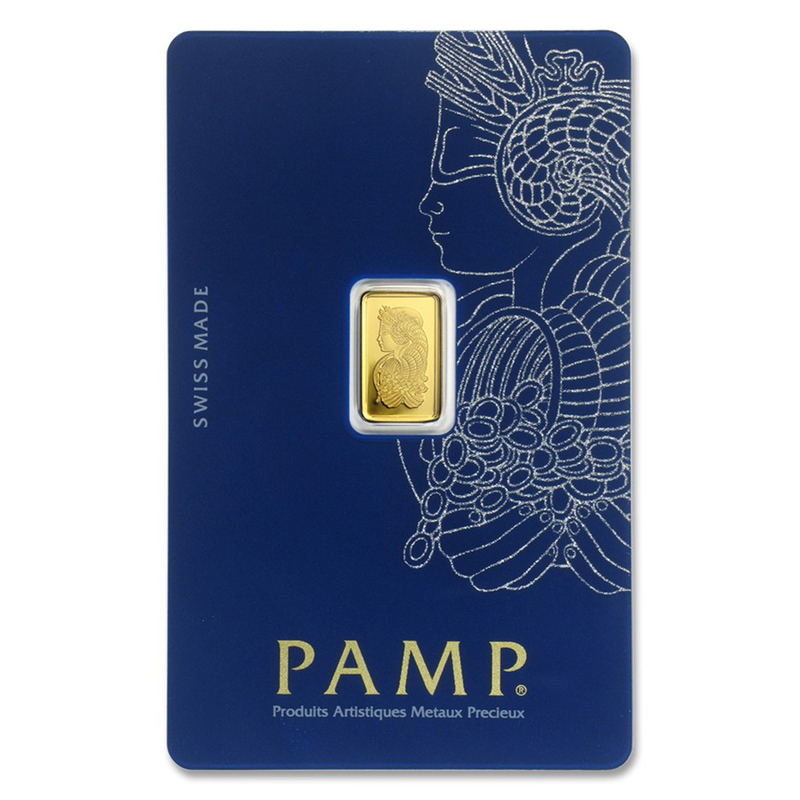 Each bar depicts Fortuna, the Roman Goddess of fortune and luck. 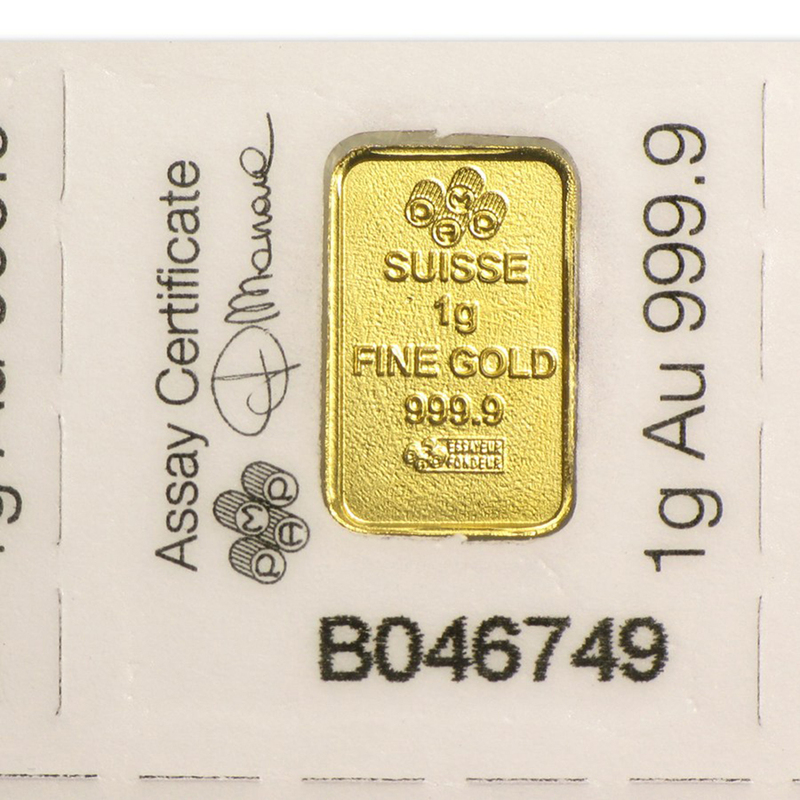 The reverse of each bar details weight and purity along with a unique serial number. 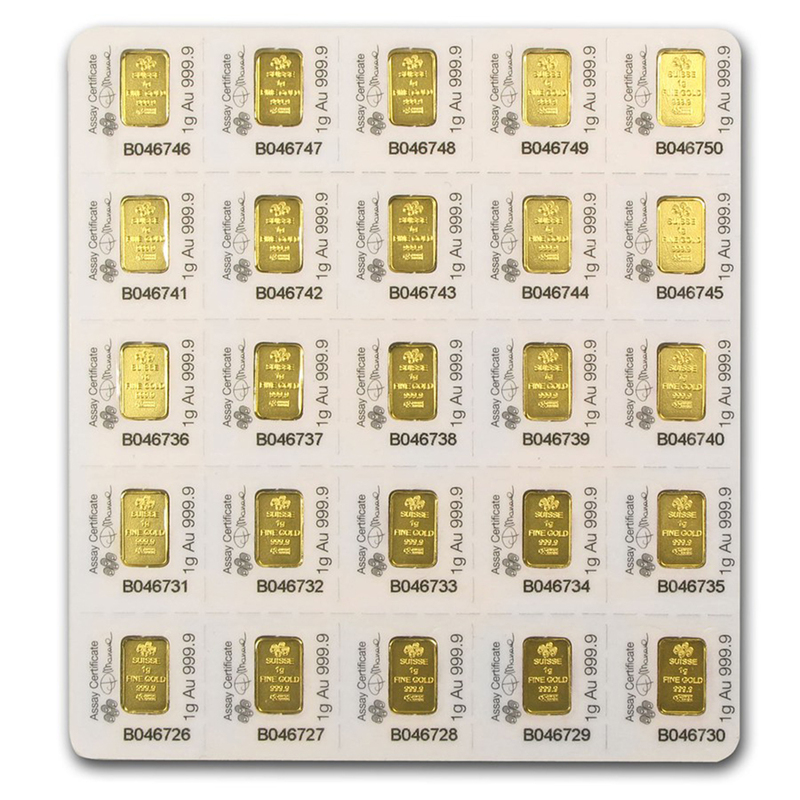 Each pack weighs 25g of 999.9 Fine Gold. 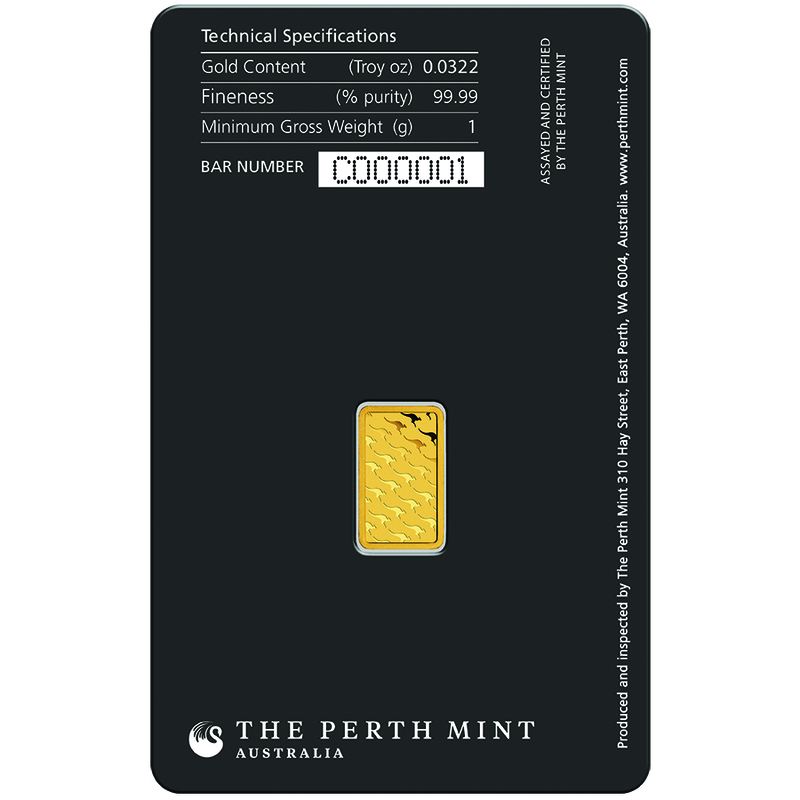 Each bar comes packed in an assay card certifying the weight and gold purity. 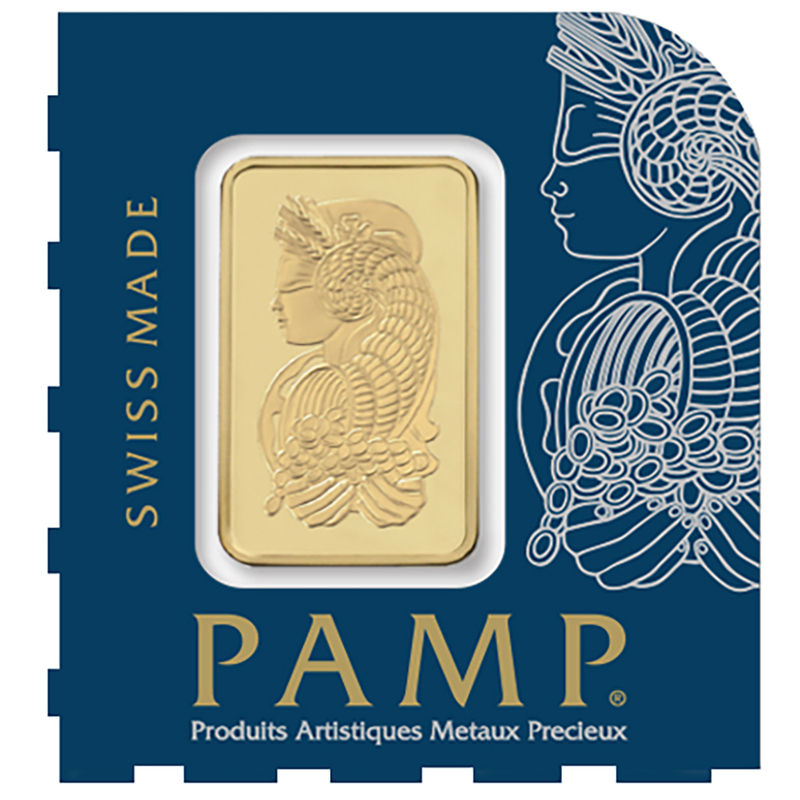 Dimensions: 93.00 x 86.00 mm. 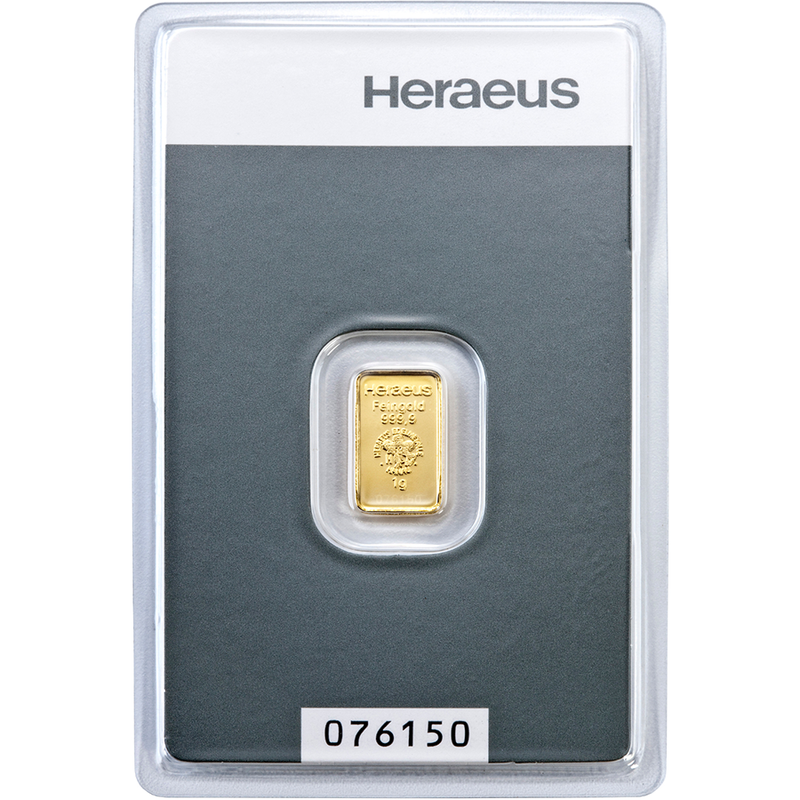 This product features 25 individual 1 gram Gold bars together as one. 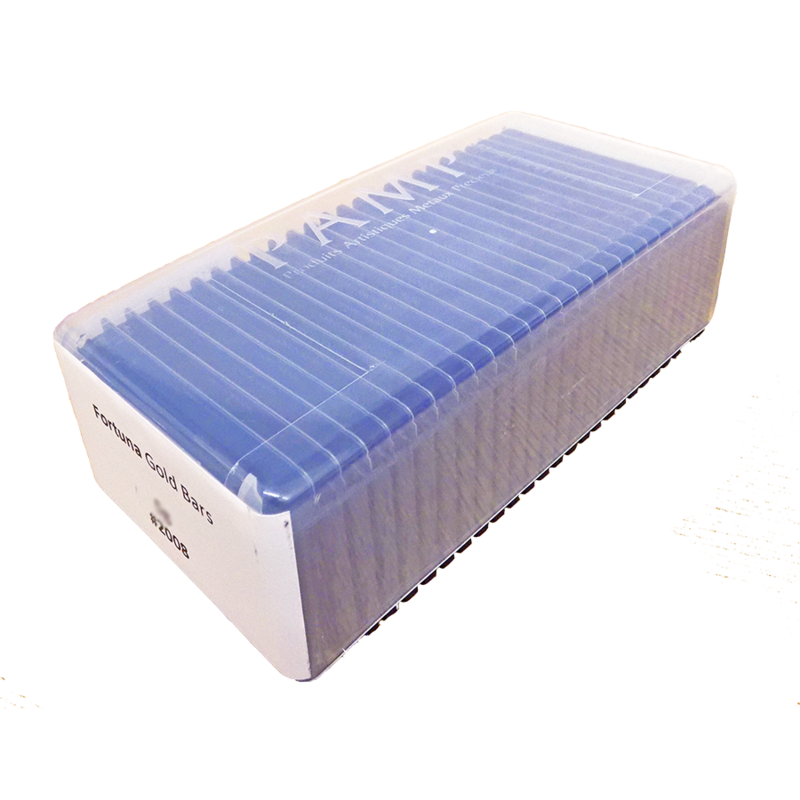 They may also be separated into individual 1 gram bars, and are perfect as gifts. 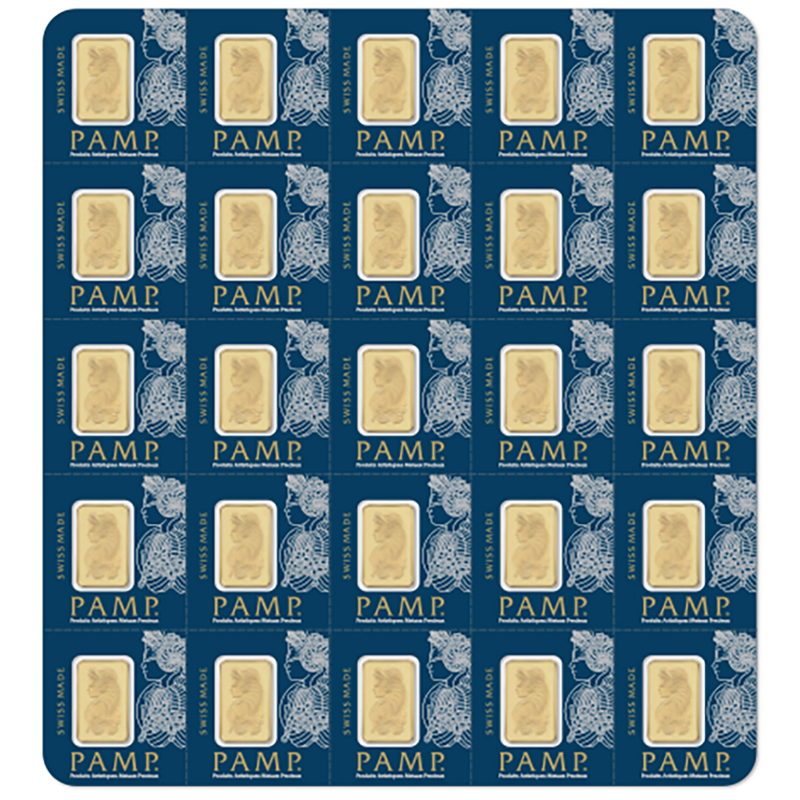 Each Gold bar comes packed in an assay card certifying the weight and Gold metal purity.